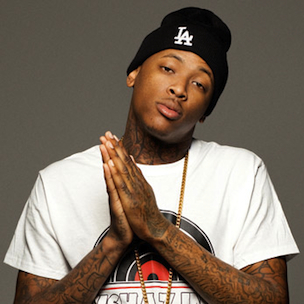 YG got more than he bargained for last night. During his show in Edmonton, Alberta, Canada Saturday (August 2) the South Central, Los Angeles native fielded a range of debris including bottles. Fan video and tweets about the concert at Encore At West Edmonton Mall from the people who were there claim the show only lasted 20 minutes as YG and security were targets of crowd obstruction. One video also shows fans fighting security after YG left the stage. It is unclear why the show turned into chaos. One fan suggested that YG and concert attendees got into a fight before the show started. He later tweeted about the concert snidely remarking, “Thatt shitt was fun.” No official statement about the concert has been made by YG or his team.